The date was March 5, 2012. Just another day to most unassuming Americans. But it was a day in which one of the most viral videos ever was released. With over 70,000 views in just 5 days, a message was delivered loud and clear. 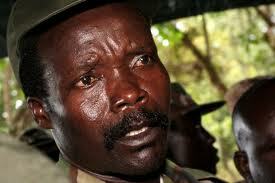 Joseph Kony must be stopped. An injustice that had been hidden for the last twenty-six years was now exposed. Thousands of people peered into a world that was previously unknown, and realized that they could not ignore what they had seen. It was time to raise a cry against this horrific situation. It was a call to action. This man, filled with a desire for power, chose the most innocent and helpless to carry out his evil goals and began to abduct children from their homes; brainwashing, enslaving, and mutilating them into his army. In the name of Christianity and under the twisted logic of “living according to the Ten Commandments”, the Lord’s Resistance Army was formed. Out of fear and the pursuit of power, the children were raped, ravaged, and often required to murder their own parents. Much controversy has arisen since the release of these videos. People are concerned with facts, where to go from here, and how to do it well. To some, it is easier to think that our nation needs to mind our own business and feel no responsibility. To others, it seems totally hopeless to try to fix a situation so far removed from our geographic location and we wonder what can we really do? How can we really make a difference? To be honest, I was not one of those 70,000 early viewers. As I saw this video plastered across Facebook, I chose not the listen. I almost wanted to avoid the knowledge. I didn’t want to hear what all the buzz was about. Eventually though, I had to know what was creating the stir and my heart was captured. And like so many, I can’t just sit by and leave it up to others to take action. I look back a few thousand years at the Israelites in the desert, and see them miss it time and again. The grace of God. His wonder as miracles happened before their eyes, and yet again they would complain. They missed what he was teaching them, they missed what they were actually a part of. I always told myself, “I won’t miss it. I won’t be blind to the things God is doing, the movements he is shaping, the waves he is creating.” But I think we followers of Jesus, are missing it. We are so easily caught up in the rhythm and comfort of our daily lives, forgetting that the very foundation on which the throne of God sits is justice and righteousness [Psalms 89:14a]. It is uncomfortable to hear about monsters like Kony, to force ourselves to become educated, and then to act on the knowledge? What is required of me and how do I become part of this movement? So here is our chance! In order for us to really help, to really take part in changing things, we must first educate ourselves. So take some time to learn how you can change the lives of thousands of children in Central Africa.